Early learners do especially well on our iPad app. If your child has access to an iPad, they can try any of our 10 mobile courses. These courses work offline, so kids can use the app anywhere (even on vacation!) without internet access. 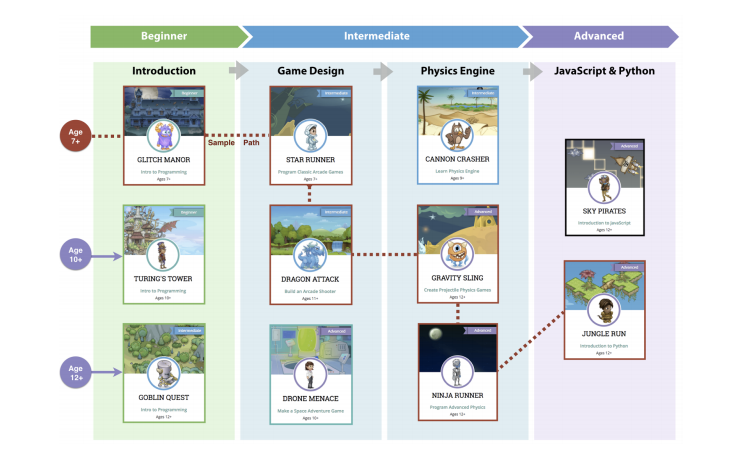 Two of our courses, Space Cadet and Dragon Spells, map directly to the elementary curriculum in the Apple Everyone Can Code program. Beyond those, we offer nine additional beginner and intermediate courses to try.